For almost a decade, the National Institutes of Health has been supporting research into the ‘human connectome’— the collection of information pathways in the brain that coordinate sensation, emotion, action and thought. One way scientists study these networks is by mapping brain activity. They put people in functional magnetic resonance imaging (fMRI) machines and ask them to stare for several minutes at an X projected on a screen1. In this way, they can determine which far-flung brain regions are talking to each other, and which are not, when the mind is at rest. Investigators studying the connectome have mapped brain activity in thousands of typical adults. They have found many commonalities of the connectome across people. However, they have also learned that communication networks of the brain can be unique to the individual. We reported earlier this year that these individual brain networks remain fixed in individuals across time, and may be partly genetic2. They might also yield insights about autism: When applied to people on the spectrum, individual brain ‘fingerprints’ could help us identify patterns of brain activity that characterize subtypes of the condition. In a 2014 paper, we formalized the phenomenon of a personalized brain signature — the idea that each person’s brain is uniquely wired. We coined the term ‘connectotype,’ or ‘functional fingerprint,’ to describe it. Just as ‘genotype’ refers to each person’s unique expression of our shared genetic inheritance, a connectotype describes the distinct pattern of brain activity that characterizes the way each person’s mind works3. In other words, the mental processes involved in solving a geometry problem or leading a staff meeting do not enlist identical neural pathways in every person. Much of the variation in activity tends to occur within the brain’s most sophisticated networks, the ones that relate to memory, thinking and decision-making. We were enthusiastic about the implications of the discovery. Now scientists could begin to study how specific brain networks enable each person’s complex behaviors. But first we needed to establish the validity of this new tool. Earlier this year, we reported that connectotypes remain stable over time2. We looked at these brain-activity networks in the same children over a period of one to two years and found that they were essentially unchanged, despite the rapid learning and growth that occur during this period of life. Next, we compared the connectotypes of family members and found that these resemble one another much more than those of strangers. In fact, we could pick out sibling relationships from brain-fingerprint data alone. In addition, we found that the connectotypes of identical twins are more similar than those of fraternal twins, which in turn are more alike than the brain maps of regular siblings. These cascading relationships showed that although some of the kinship among family connectotypes is likely due to sharing a home and experiences, some of it is also passed down through genes. Our research also showed that familial similarities in the connectome are more pronounced in the brain areas involved in complex cognitive processes — the very areas that tend to vary more among strangers. Some of these areas operate in a network that underlies daydreaming, self-reflection and rumination; others govern attention. Alterations in these systems have previously been reported as relevant to autism and attention deficit hyperactivity disorder4. Our work on connectotypes and family relationships may help us understand the biological basis of autism and devise tailored treatments. We talk about autism as a spectrum because people with the condition display disparate levels of abilities. Some are nonverbal; others are university professors. Once we have more insight into what’s going on within the brains of people with autism, we expect to learn that what we call autism is actually a hodgepodge of conditions that manifest similarly but result from vastly different processes5. Clinicians rely on autism features to make diagnoses, but clinical features don’t reveal the condition’s origins. Many investigators are comparing the genes of people with and without autism to discover which genetic differences are associated with the condition and its various subtypes6. We believe that connectotypes can aid this process. Our next step is to do fMRI-derived brain fingerprinting in people with autism. From there, we aim to isolate clusters of individuals with autism whose connectotypes share common features. Brain-activity mapping complements genetic investigations, and also offers an advantage. Unlike genes, which reflect only heredity, connectotypes combine the influence of both heredity and environment. That’s because the brain develops from genetic instructions but also responds to stress, nutrition and other life experiences. Connectotypes provide maps of the brain to guide the work ahead. 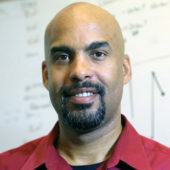 Damien Fair is associate professor of behavioral neuroscience and psychiatry at Oregon Health and Science University. 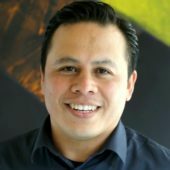 Oscar Miranda-Dominguez is research assistant professor of behavioral neuroscience at the university.